There is no pity in Santa Olivia—and no escape. In this isolated military buffer zone between Mexico and the U.S., the citizens of Santa Olivia are virtually powerless. Then an unlikely heroine is born. She is the daughter of a man genetically manipulated by the government to be a weapon. A "Wolf-Man," he was engineered to have superhuman strength, speed, stamina, and senses, as well as a total lack of fear. Named for her vanished father, Loup Garron has inherited his gifts. Frustrated by the injustices visited upon her friends and neighbors by their military occupiers, Loup is determined to avenge her community. Aided by a handful of her fellow orphans, Loup takes on the disguise of their patron saint, Santa Olivia, and sets out to deliver vigilante justice—aware that if she is caught, she could lose her freedom... and possibly her life. Santa Olivia is both a heart wrenching and an inspirational novel. 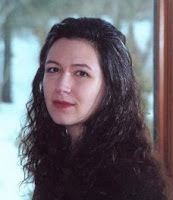 Fantasy writer Jacqueline Carey perhaps best known for her Kushiel sequence of novels brings us a modern allegory about the indomitable strength of the human spirit. Be prepared for an emotional rollercoaster, exceptional and compelling storytelling and memorable characters. No one knew what it meant, not exactly. There was something about sickness and something about the scourge to the south on the far side of the old wall. But there was too much dying to be bothered. If the soldiers brought money and food and medicine and doctors who hadn't succumbed to the plague, that was to the good. It had always been an isolated place. Santa Olivia; Santa Olvidada, soon to be forgotten by most of the world.Outpost No. 12. From this crucial event we follow the life of Carmen Garron as she grows from a child of thirteen to a young woman, making her way as best she can as a waitress – taking occasional lovers from the military base for comfort. Eventually she falls in love with a soldier, a boxer only to have him die from a booby trap. The bird in Carmen Garron’s heart went silent for a long time. A child, Tom is born from their union and she loves him dearly. Years pass and Carmen befriends a soldier she meets in the diner. She learns Martin is one of the ‘Lost Boys’, a genetically enhanced soldier, and a deserter. They become lovers. For a short time they share a blissful life until he is threatened with exposure and must return to a life on the run. Carmen would rather see him free and lost to her then see him imprisoned. She carries his child. When she is born Carmen names her Loup, as a reminder of her fathers’ special genes. Tom adores his sister and becomes her best friend and protector, but life in Santa Olivia is hard and Carmen succumbs to the old plague before Loup is little more than a young girl. Tears gathered in Loup's eyes and shone there without failing. Even when she'd cried as a baby, there were never tears. There was something strange and pure about the quality of her unleavened sorrow; strange and pure and oddly comforting, as though a child-saint or a fearless, untamed creature had come to keep a vigil over Carmen's death. Carmen lifted one hand and traced the curve of her daughter's cheek. “Mija," she whispered. "You know you're special, right?" “Special and wonderful. Don't let the world break you." Carmen closed her eyes. "It wasn't always like this." But life goes on. Tommy goes to work and live at the gym and Loup to stay at the local church with a handful of other orphans from the community. For Tommy it means training to be a boxer. Boxing is the great past time in Santa Olivia because it is the General’s passion. A monthly bout pits the best of the army against the best of the town. For the townsfolk it is the brass ring. If ever one of their champions can best the army candidate, they will receive a pass for two and their freedom back to America. The source of almost all hope and morale among the residents of Santa Olivia lies with their champions. Tommy hopes to be that man and take his sister with him. Among new friends at the orphanage, Loup's secret inevitably slips out about her strength, speed and enhanced senses. But instead of setting her apart it bonds the group together. Together they embark on a campaign to right wrongs, always in secret, with Loup taking on most of the burden. Disguising herself as the personification of the child-saint Santa Olivia, they begin to build a new mystique in the town providing another source of hope to the people. Revealing any more would be just too many spoilers. There is a great diversity of secondary characters and events taking place in Santa Olivia. Carey has made these people come alive and jump off the page, made me care about their lives and their destinies. Loup has to face even greater losses in her life and larger challenges. She never quits. Her innate force of character is daunting and influences all around her to do better, to make a difference. Observing the ripple of change that spreads from her is magical. Boxing is a critical and central focus for many of the plots, subplots and characters in Santa Olivia, including Loup, but boxing is only a means to an end. The boxing scenes whether training or fighting, are graphic, well-researched and dramatic. It all builds to an incredibly climactic ending with Loup at the centre, the town’s hopes pinned firmly to her shoulders and her secret in direst jeopardy. Santa Olivia is easily the best book I have read this year and I encourage you to pre-order this now. You will not be disappointed. 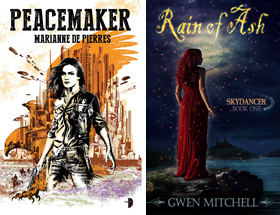 Although I would hesitate to fit this into a genre box, urban fantasy fans will not be disappointed with the central heroine or the small but important role Loup’s preternatural abilities play in the story. No word on a sequel but the ending absolutely allows for a whole new chapter in Loup’s life. Normally I don’t lend much credence to jacket blurbs, but this eloquent endorsement for Santa Olivia from author Eric Van Lustbader is spot on. Only wish that I had said it. "Jacqueline Carey has created a postmodern fable of enormous scope and force. Santa Olivia is at once a cautionary tale of people caught in a web of lies and creeping terror, and a love song to the beauty and power of being different. At the novel's heart is the kind of grace Carey is known for: an illumination of the strength that lies hidden inside all of us." Ooh... Can't wait to read this! Great review. Whoa! It almost sounds a little UF. And it's not 700 pages! Okay, I am definitely looking forward to this. Thanks for the alert. Thanks Drey I was really swept up in this story. Not to be missed. Carolyn Jean well I can't pass up anything by Jacqueline Carey but it was really nice to see her stepping outside her normal fantasy zone for this contemprary fantasy which yes I think could easily be called urban fantasy. Hi Wheels209. Thanks for the kind words. While I have read Kushiel's Dart (highly recommended) I have not reviewed it as my blog is under a year old and I read the book on its first release. Mulluane over at Dragons, Heroes and Wizards does a great review of the entire series. Thanks-much the fact that you read the book and have highly recommended it is good enough for me. I needed a guys opinion on the book. I know of Mulluane and her reviews. I have e-mailed her several times about books.